The Megaberry is a fruit-filled taste explosion. Photo courtesy of Waffles, INCaffeinated. 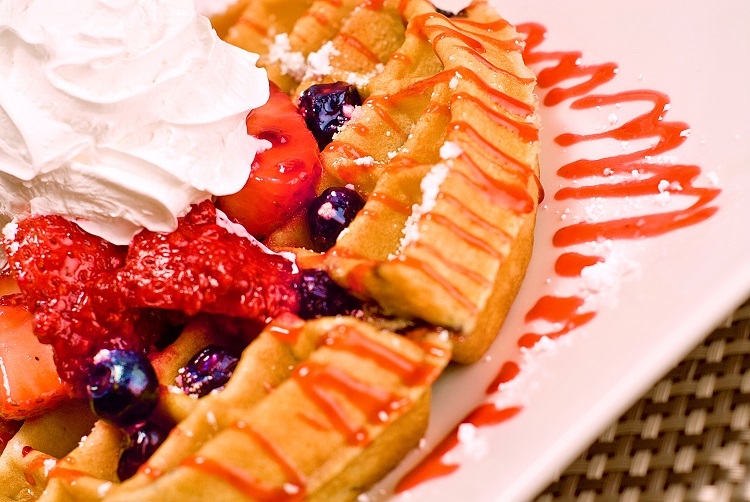 At Waffles, INCaffeinated, breakfast isn’t just the most important meal of the day. It’s the meal of the day. On Friday, Downtown visitors will have a chance to experience some of the eatery’s carb-fueled goodness when a fourth location of the chain opens at 434 Fifth Ave. in the former Kaufmann’s/Macy’s building. Do you believe in (Breakfast) Magic? 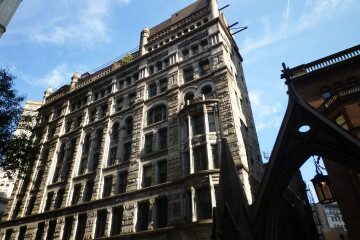 Photo courtesy of Waffles, INCaffeinated. As its name implies, the eatery specializes in waffles. The sourdough batter cakes are prepared from scratch and can be tweaked to your liking with a host of different ingredients. Have a sweet tooth? Try the Megaberry, which is stuffed with fresh blueberries and raspberries and has even more fruits on top, with a glaze of vanilla bean syrup, a mountain of whipped cream and a housemade berry reduction sauce. 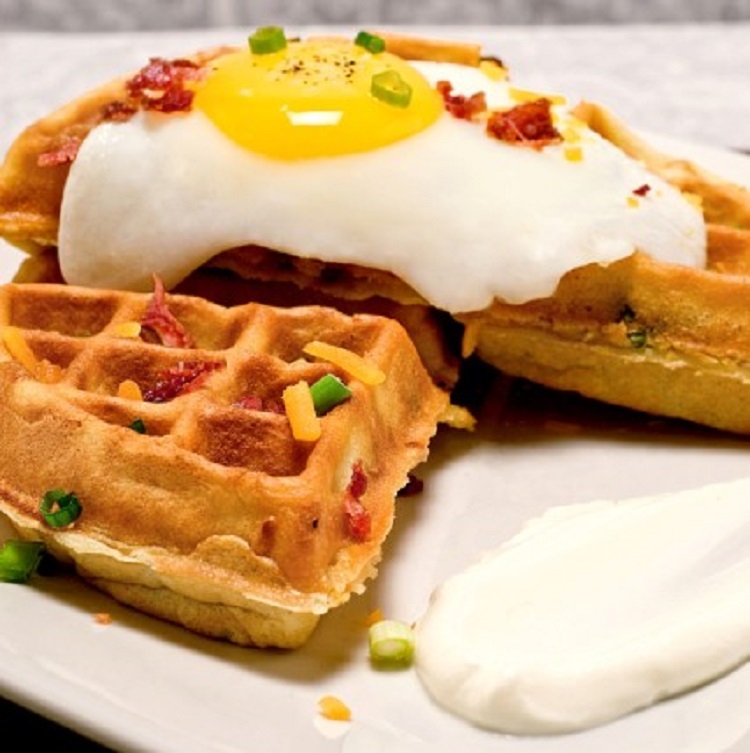 If savory is more your style, try the Breakfast Magic: bacon, cheddar cheese and green onion housed in a buttery waffle crowned by additional bacon and cheese and a fried egg. This dish is the perfect cure for a case of the Mondays, which is when it’s on special for $6. Hours at the new eatery are 8 a.m. to 2 p.m. Monday through Friday and 10 a.m. to 3 p.m. on weekends. Breakfast lovers, stay tuned: We’ll have a more in-depth, off-diet look at the new site next week.